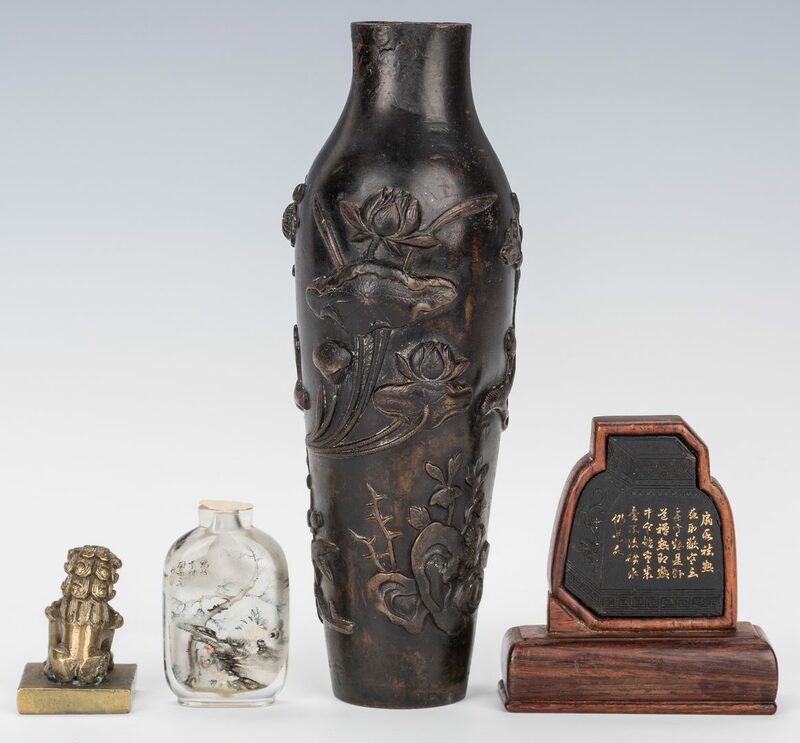 Four (4) Chinese articles. 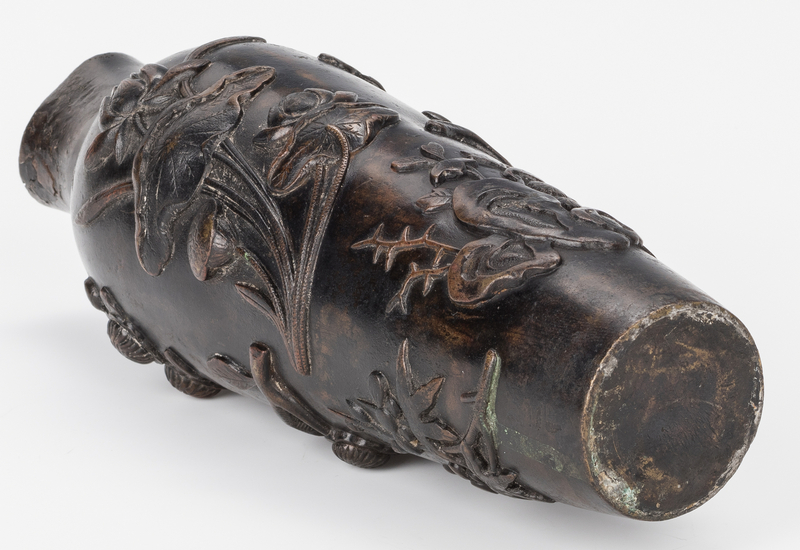 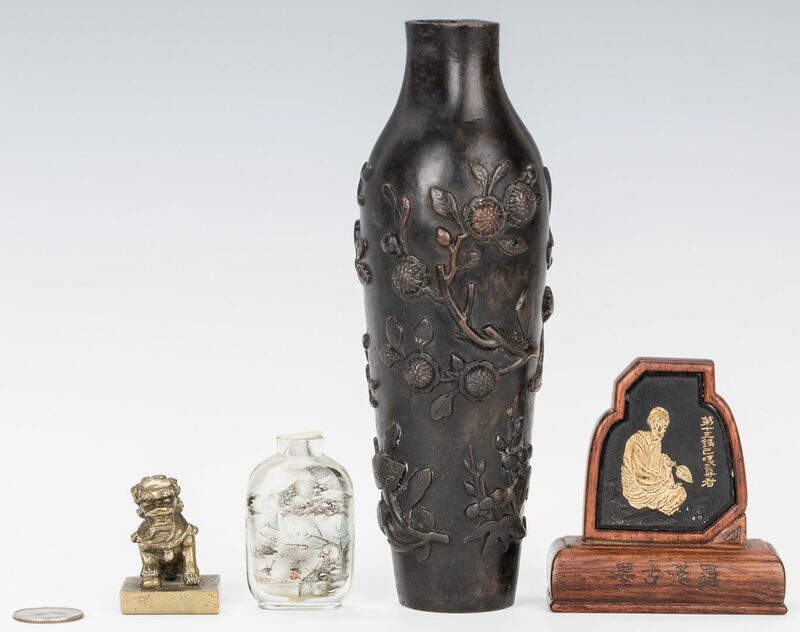 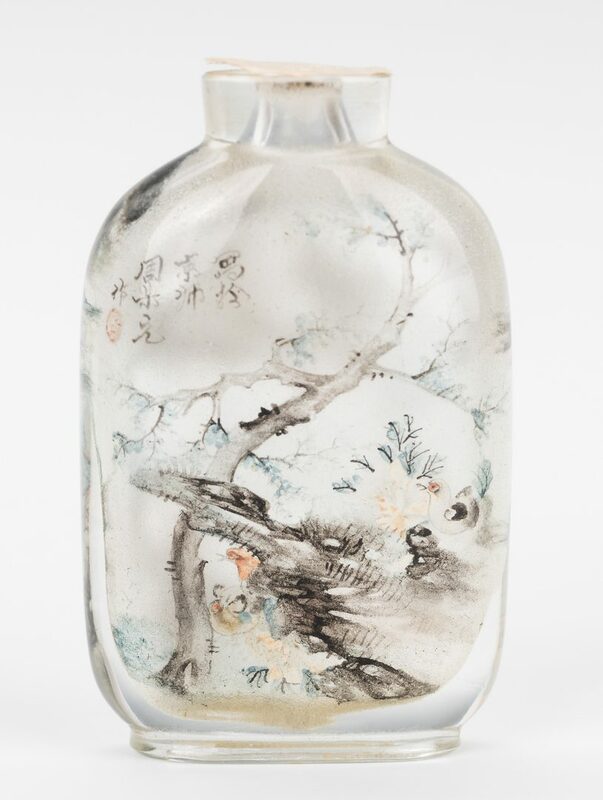 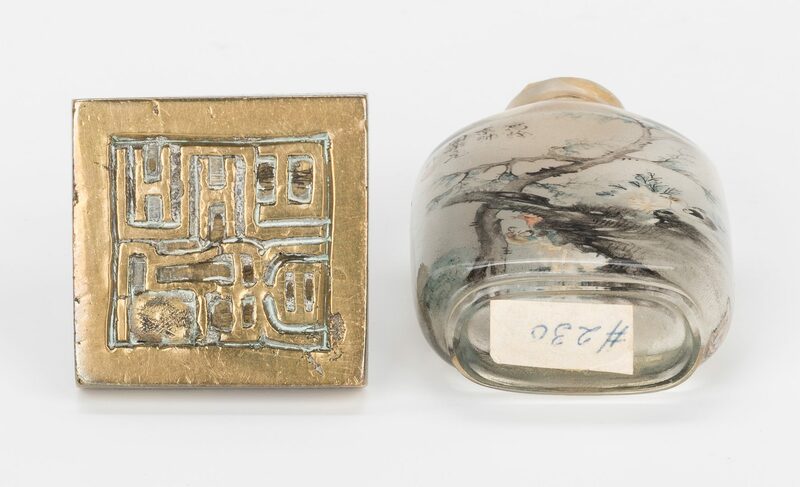 1st item: Qing carved bronze vase with floral or prunus decoration in relief, tall narrow circular form with ovoid neck, unsigned, 8" H. 2nd item: Reverse painted glass snuff bottle depicting two figures in a boat in a landscape. 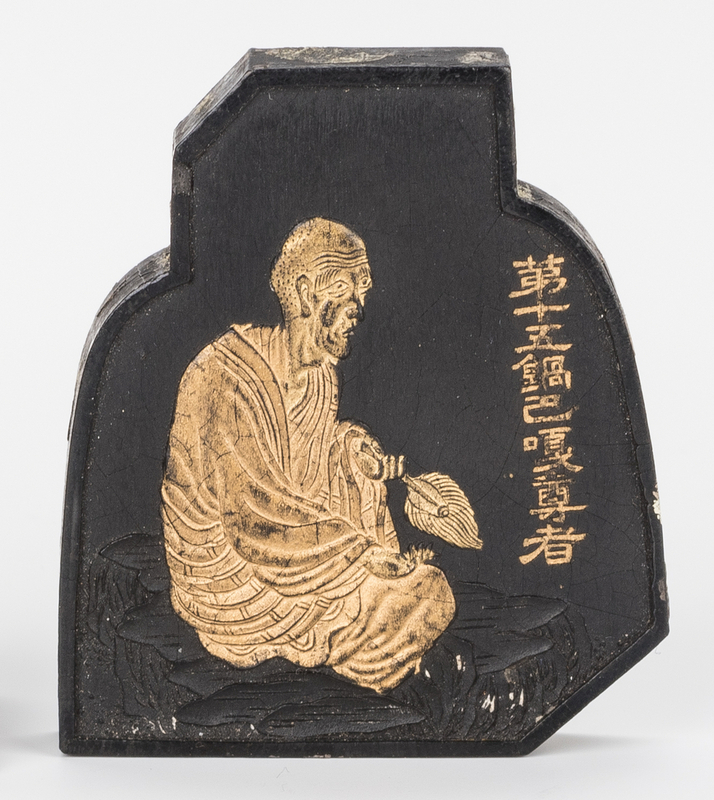 Calligraphy en verso. 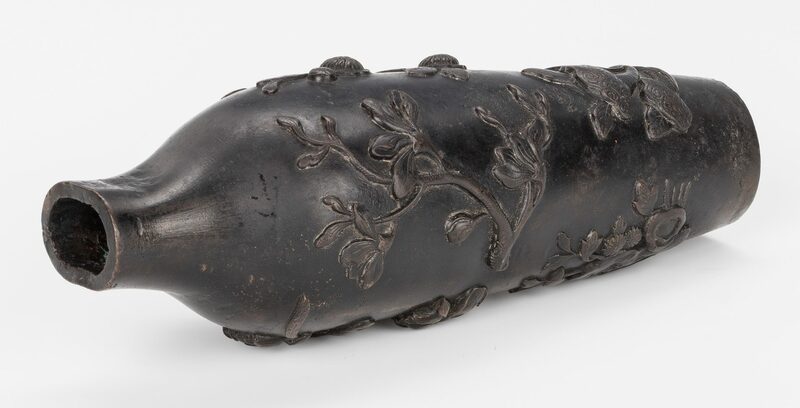 2 1/4"H. 20th century. 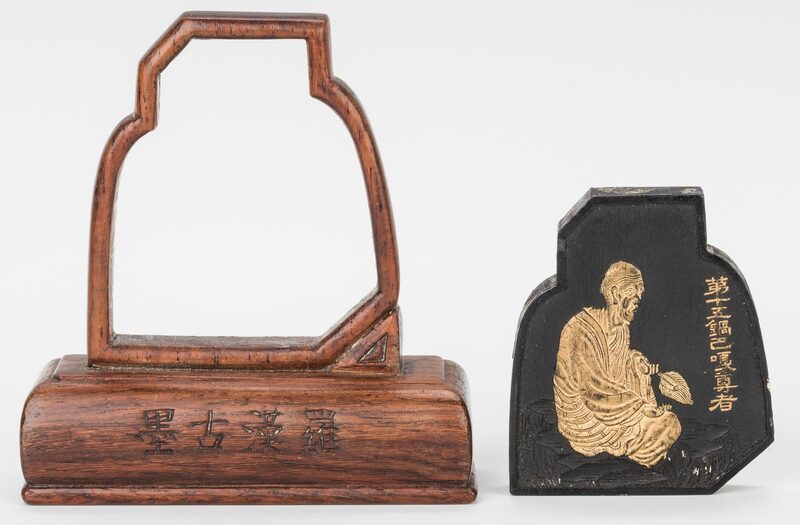 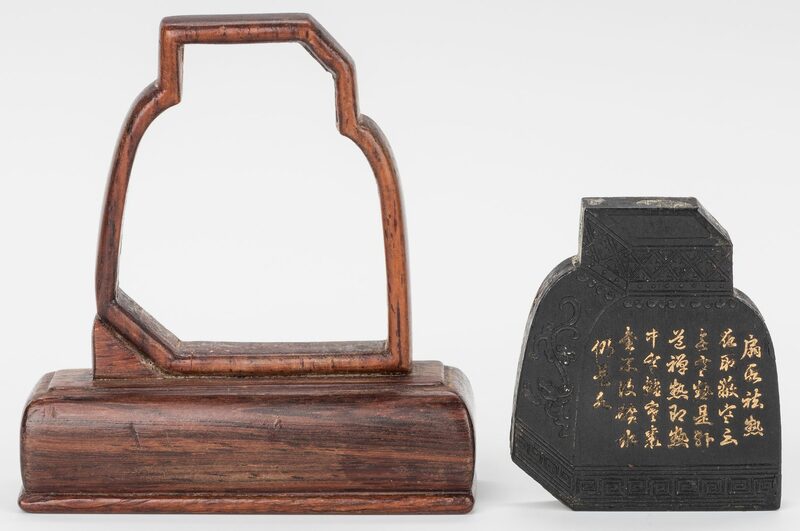 3rd item: Duan Ink stone with raised gilt calligraphy and scholar decoration, mounted in a hardwood stand, 3 1/2" H overall. 20th century. 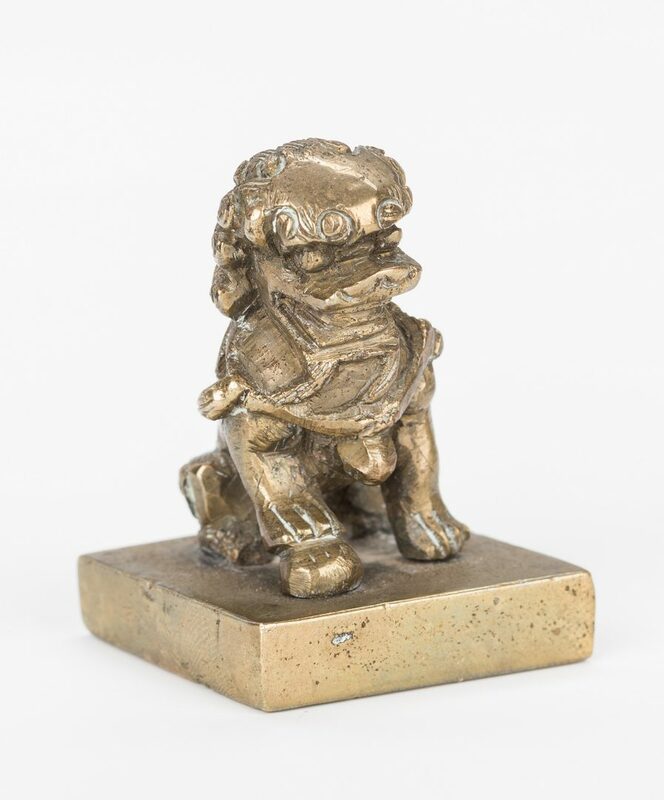 4th item: Small Chinese figural bronze seal chop in the form of a foo dog or lion, 1 7/8" H. 20th century. 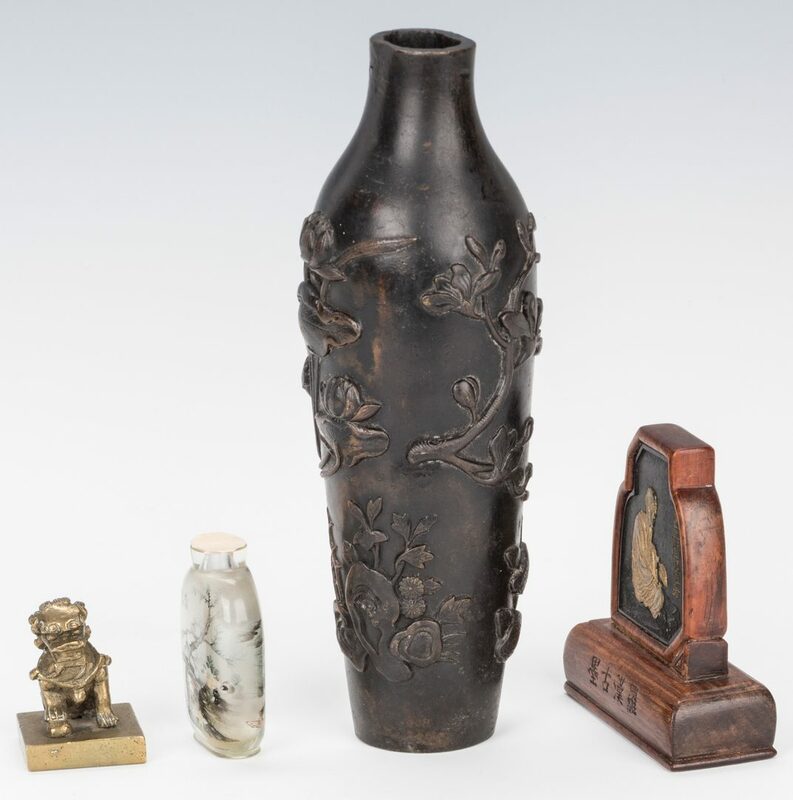 CONDITION: Some oxidation, minor wear and surface irregularity to vase, especially at neck. 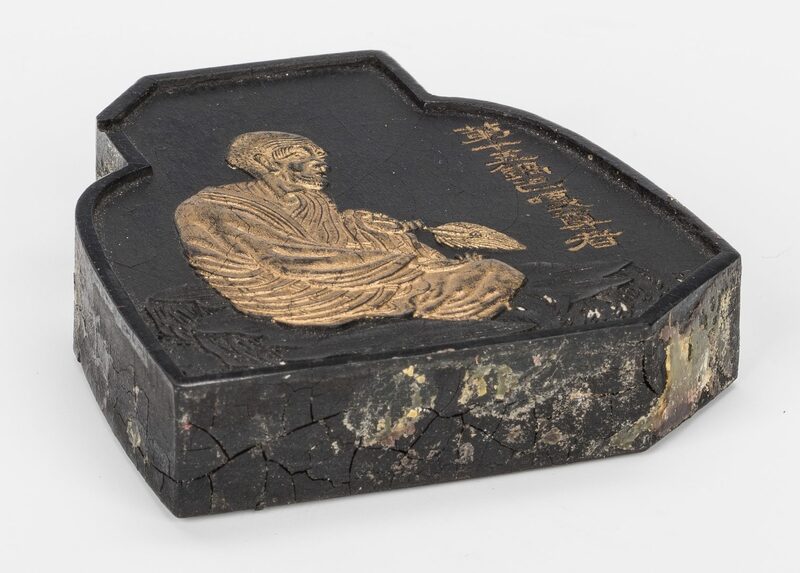 Some wear to gilt on ink stone. 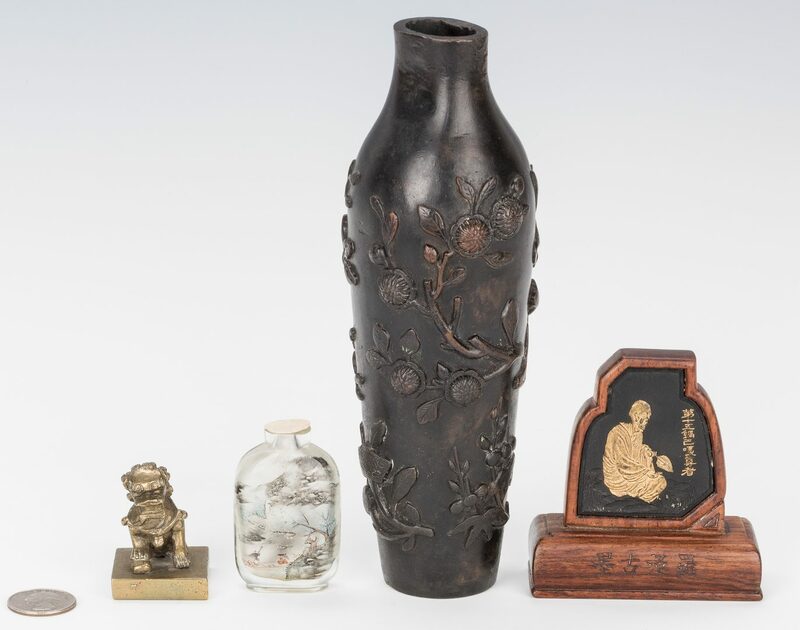 Overall all items in good condition.